At the start of the 1976 season, Players had told CASC that season would be their last year of sponsorship of the Canadian series, giving the Canadian governing body the whole year to arrange a replacement. CASC bungled this and by December they had little choice but to accept an ingenious arrangement offered by Kris Harrison of Ecurie Canada. Harrison suggested that Ecurie Canada Engines were made sole supplier of the only eligible engine, the Ford Cosworth BDN, with its price increased to $10,000 to allow enough profit to fund prize money for the series. Harrison secured sponsorship from Labatts who, as sponsors of the Canadian GP, had been right under CASC's nose all along. To keep an eye on Harrison, a Formula Atlantic Entrants Association was formed consisting of Harrison's own Ecurie Canada, Doug Shierson Racing, Fred Opert, Ralt importer Brian Robertson, Pierre Philips Racing and Bill Brack. As the circuits could bring no money to the table, they had little say in the matter. TV had an interest, but they expected to be paid to provide coverage. The season hardly needed Harrison's promotional ability. After defending champion Gilles Villeneuve was punted off by F2 ace Keke Rosberg at Mosport, the young Canadian charged back to finish second and thereafter was unbeatable: three wins and two retirements from the five races he entered. He missed one race while making his GP debut at Silverstone and also found time to race in Can-Am. 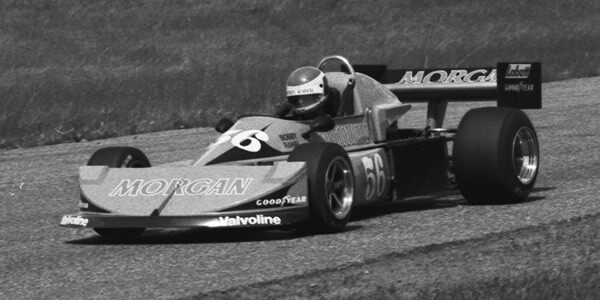 Bill Brack, Bobby Rahal and Rosberg won when Villeneuve wasn't at the finish and 22-year-old Price Cobb won the Mosport race and the high profile non-championship race at Trois-Rivières. Points table from a CASC bulletin dated 13 Oct 1977 (provided by Dominic St-Jean of Quebecois motor racing website autocourse.ca). In 1977, Ecurie Canada disintegrated and engine man Dave Morris took over the job of running cars for Gilles Villeneuve and Richard Spenard, with Andy Roe as chief mechanic. Morris's family company Weldangrind in Edmonton spawned Engine Rebuilders Ltd to maintain Cosworth BDNs for Morris's customers.